I used SkylineValue.com to produce these graphics as I own and operate the site, to avoid having to deal with any unintended copyright issues. It simulates office valuations in 60 seconds or less. It's totally FREE and NO login/registration of any sort is required. 80 Major Office Markets in the US and Canada are currently covered. 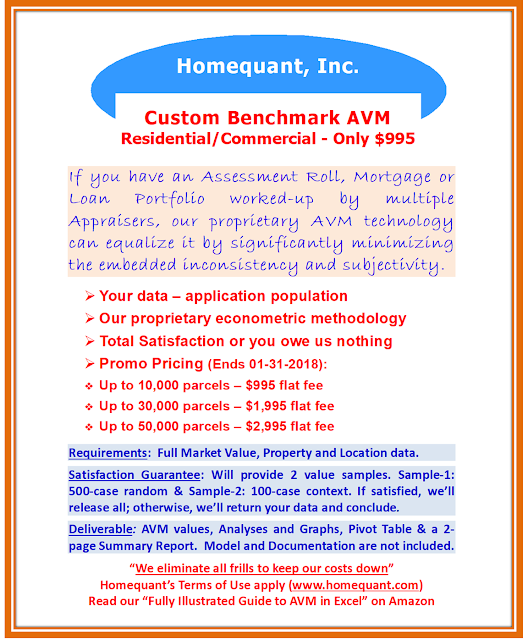 SkylineValue.com is owned and operated by Homequant, Inc.
1. 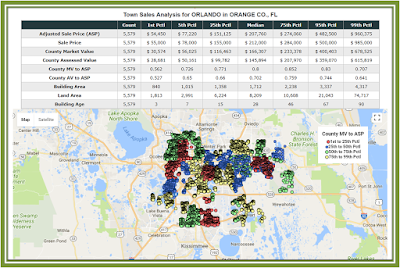 Sub-markets: All (socio-economically) prominent sub-markets with the market (say, Orlando) are generally supported, allowing users to toggle between sub-markets to evaluate and understand the variations in home values. 2. Home Type and Style: Home types (Detached, Attached, HOA, Townhouse, Condo, etc.) and styles (Ranch, Cape, Colonial, Conventional, Contemporary, Tudor, etc.) are important consideration for home-buyers so a good Top-down site should incorporate them. 3. Location: A good school district would fetch higher value that its counterpart with lesser known schools. Good sites allow users to understand how such qualitative factors contribute to home value. 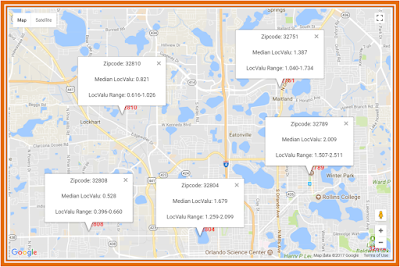 4. land and Building Sizes: Users are allowed to educate themselves how the changes (increase/decrease) in sizes impact values within a given sub-market. Some sites would allow users to further differentiate between total improved area and heated area, corner lot vs. non-corner, etc. Bath count is also important as it helps understand if the home is optimized or a lifestyle one. 5. Building Age and Condition: Users can quickly learn how age and overall condition (including quality of rehab) impact values in a sub-market. Some sites might combine these two variable into one called effective age. Either way, these are important considerations in pre-owned homes. I picked the above graphics from Homeyada.com as I own and operate it, to avoid having to deal with any copyright issues. My Homeyada site is Mobile-friendly (no separate apps are needed), totally self-directed (no modeled values), totally free (no strings), and requires no login or registration whatsoever. It has a built-in non-linear value curve/scale tied to the home size, as well. Anyway, please use the site/system that works best for you. The top graphic represents the sample valuation of One World Trade Center, a trophy office property in Downtown NYC. The bottom three graphics represent sample valuations of the sub-classes of the Class-A (in this system they are called Max, Mid and Min) office properties in downtown San Francisco. In order to value an office property on this site, all one needs to know is the general location, rentable square feet and a few general property characteristics, all of which are easily obtainable online. 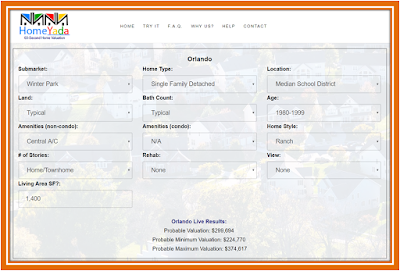 Once these data elements are available, the system can process the valuation in 60 seconds or less. This system is designed for the Pros and Non-Pros, offering a "Quick Look" valuation and is intended to complement the traditional valuation, not replace it. 80+ Major Office Markets in the US and Canada are currently covered. 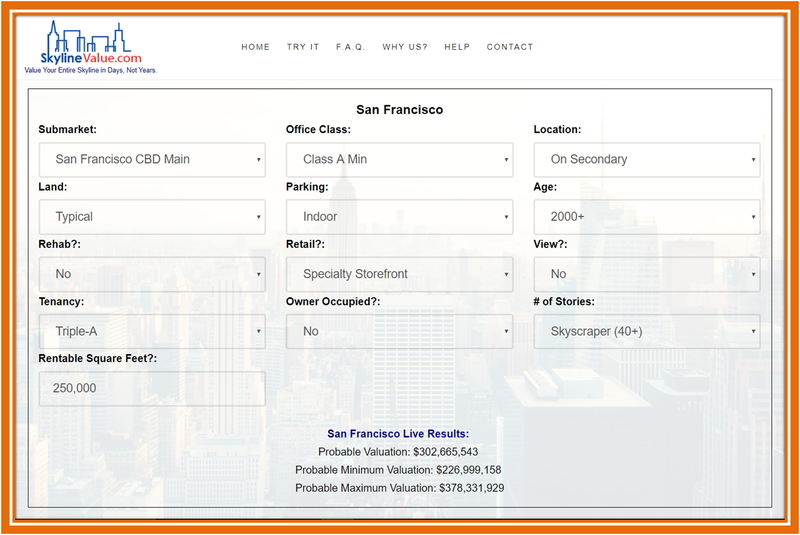 The above graphics show that a 2,000 SF condo in a downtown high-rise with world class amenities will be significantly pricier than its similar size counterpart in a mid-rise building with typical amenities in the suburb. Such price differences are more stark in major cities; for example, a condo in Midtown Manhattan will be at least 5-to-10 fold pricier than a similar one in Queens (suburb). Similarly, a high-rise condo unit with panaromic river or park view could be significantly pricier than the comparable ones in the same building without such views. 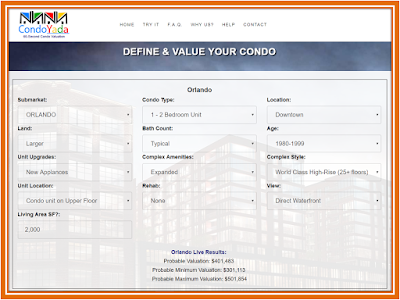 Therefore, a good Condo Valuation System must allow all these experimentations so the users understand how location, type of complex, amenities, view, etc. impact condo prices. I picked the above graphics from Condoyada.com as I own and operate it, to avoid having to deal with any copyright issues. My Condoyada site is a 60-second top-down condo valuation system. It's self-directed (no modeled values), totally free (no strings), and requires no login or registration whatsoever. Moreover, it has a built-in non-linear value curve/scale tied to the condo size. Anyway, please choose the system that works best for you. 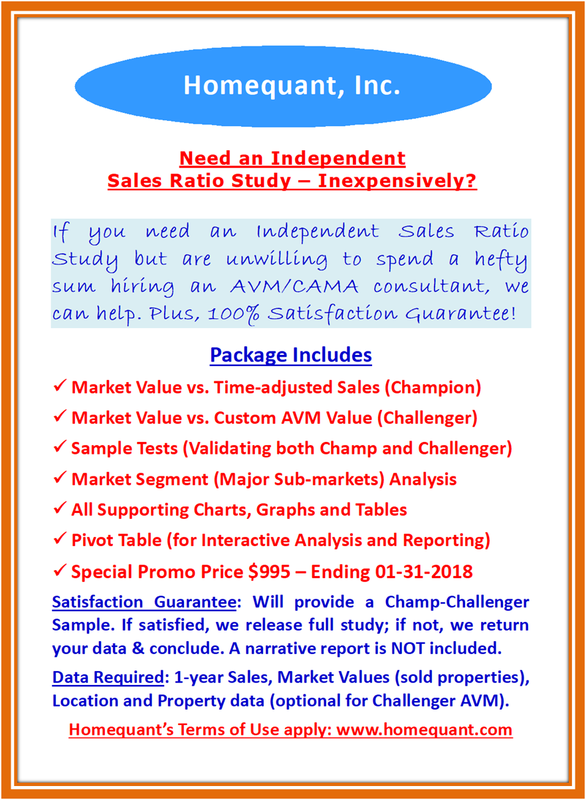 Sales Ratio (County Market Value to Adjusted Sales) is a better indicator of the proper assessment level than the Assessment Ratio (County Assessed Value to Adjusted Sales), as the latter often includes Town-wise special assessment, abatement, exemption, etc. 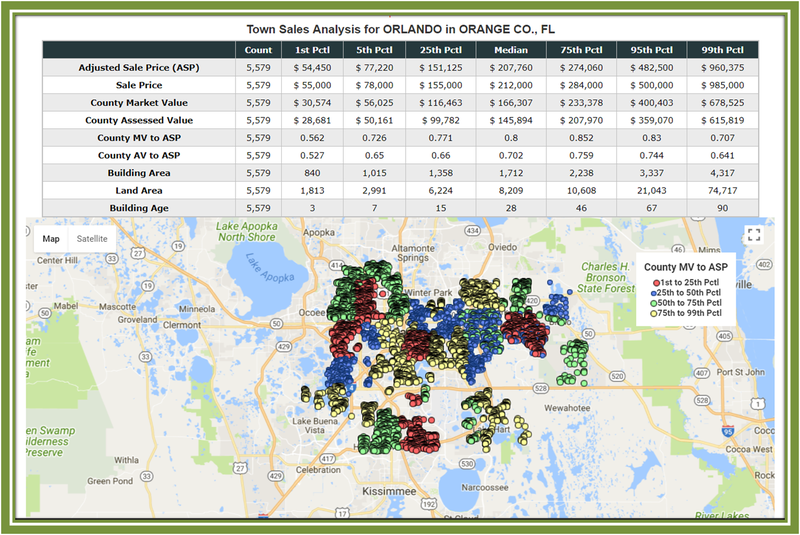 All sales therefore must be adjusted to the taxable status date so the two values (county vs. town) are comparable and the resulting ratios are statistically significant. 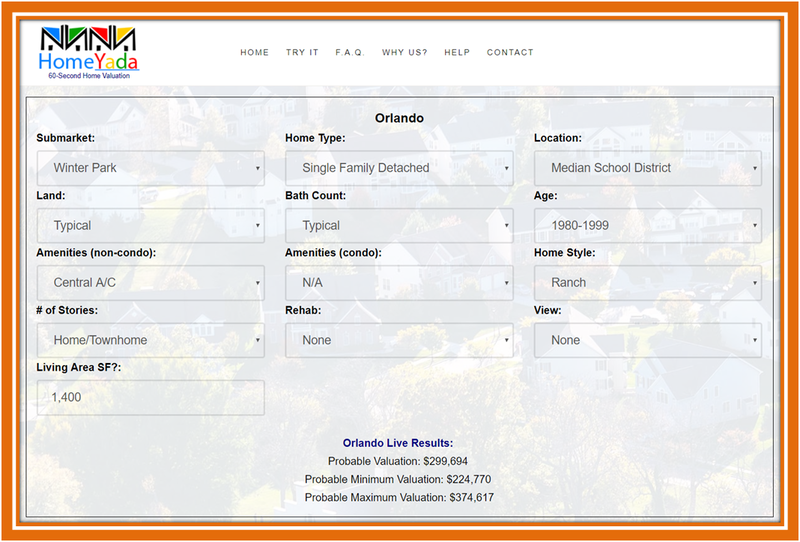 In this example, since the Countywide Median Sales Ratio is .743, all Towns in that County must be valued at or close to this ratio so that the Assessment Roll becomes fair and equitable. Better yet, compare the 25th to 75th percentile of the ratio curve. 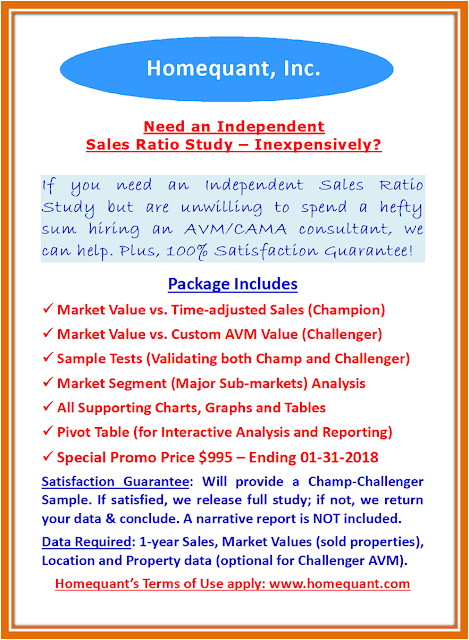 If the sales are individually validated for ratio eligibility (ours are not), a much wider range – say, 5th to 95th - could be considered. The Town-1 however shows a significantly higher Median Sales Ratio (.831), making it an over-assessed Town in that County. The Town-2, on the other hand, shows a much lower Median Sales Ratio (.7), making it an under-assessed Town in that County. While this is the Town-wise summary of ratios, in a separate Blog post we will further drill down to the areas in the Town - spatially - where the incidence of over and under assessments could be more severe. I picked the above graphic from TownAnalyst.com as I own and operate it, to avoid having to deal with any copyright issues. My TownAnalyst site is totally free (no strings) and requires no login or registrations whatsoever. Please use the assessment evaluation system that works best for you. Disclaimer: This analysis is strictly illustrative. Any personal, commercial or legal use of it is totally prohibited. Always consult a Tax Attorney on statutory requirements.